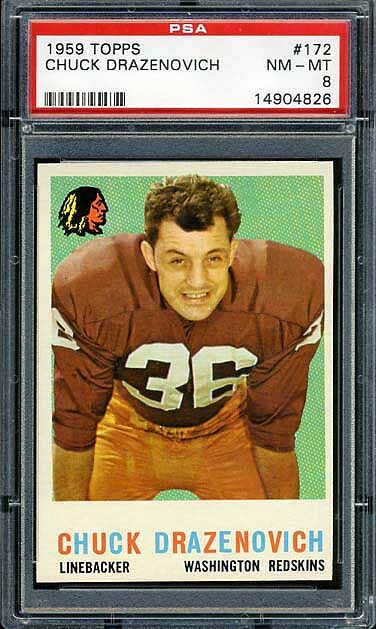 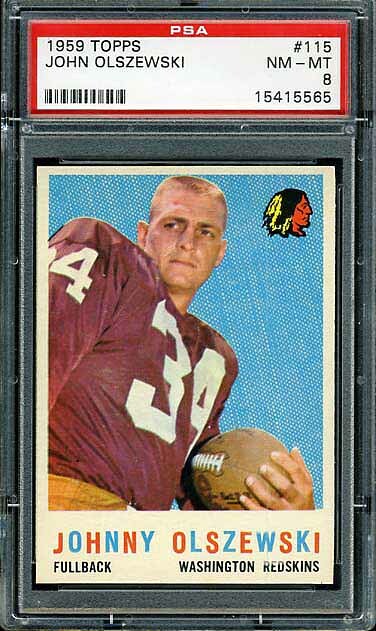 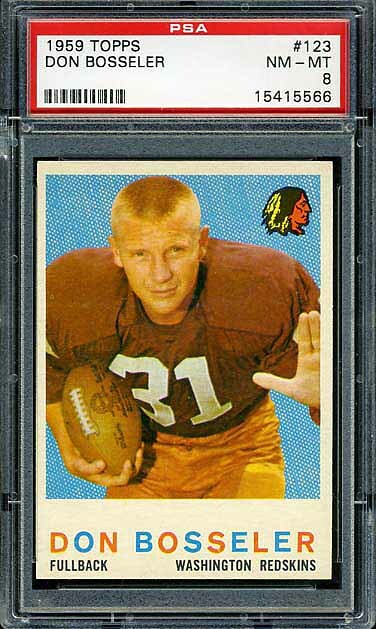 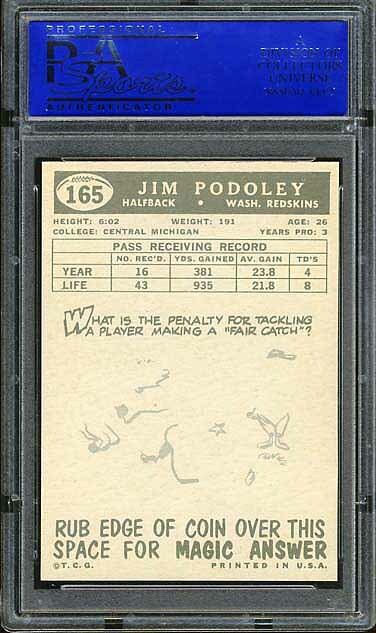 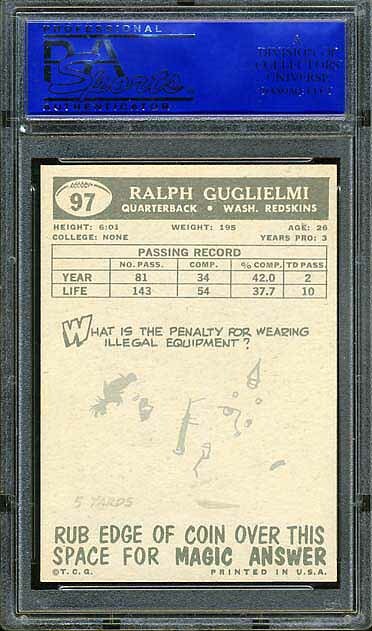 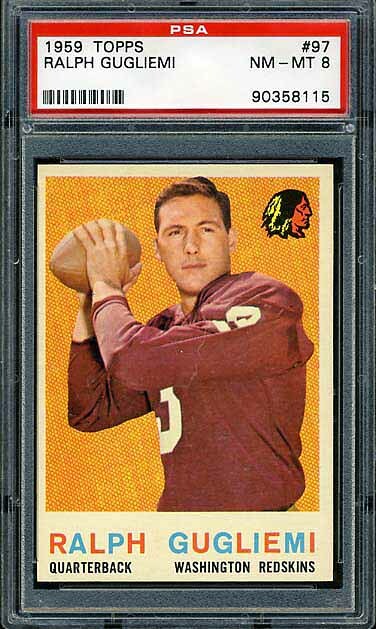 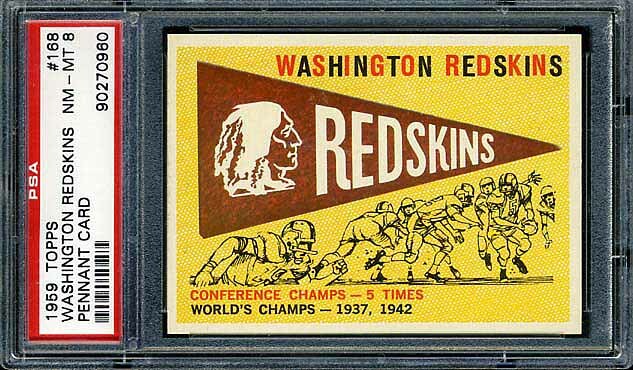 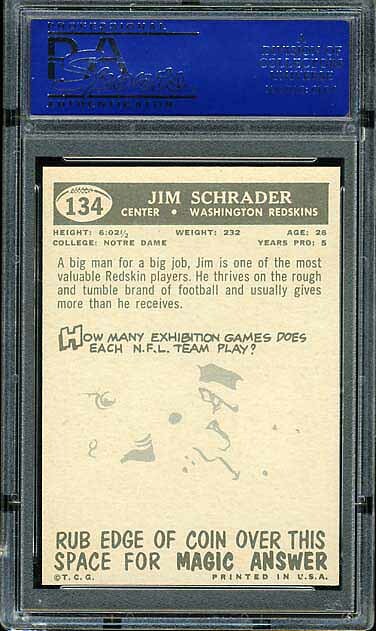 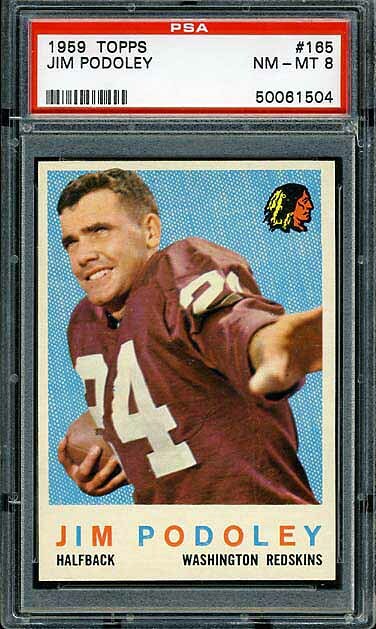 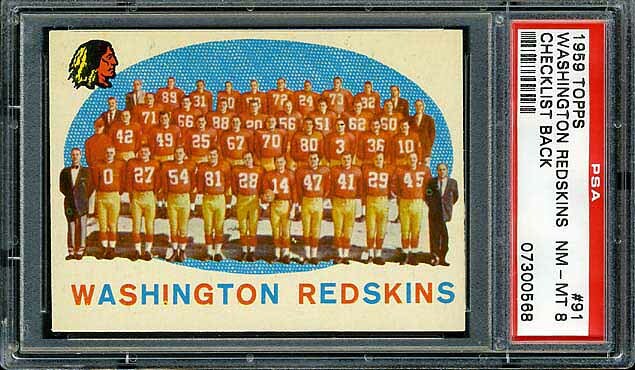 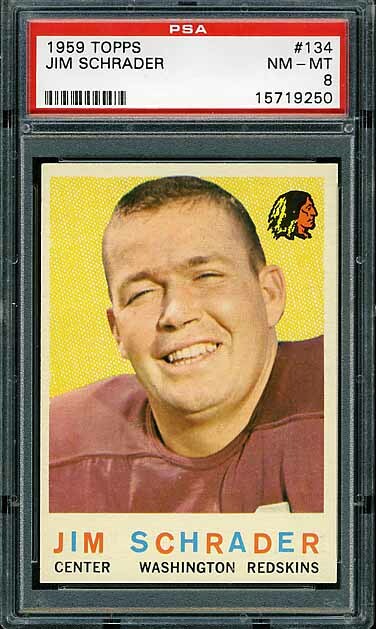 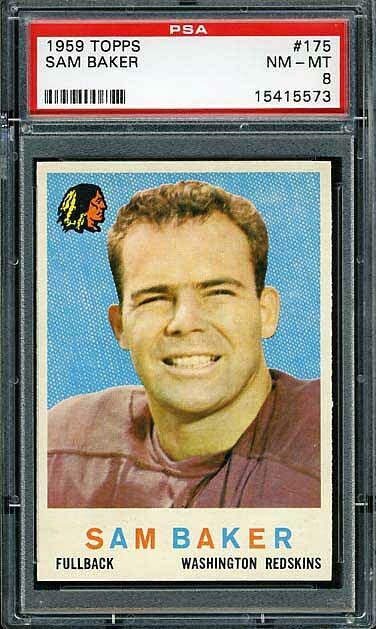 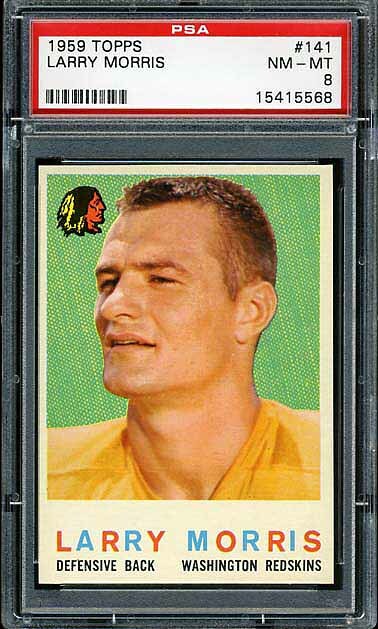 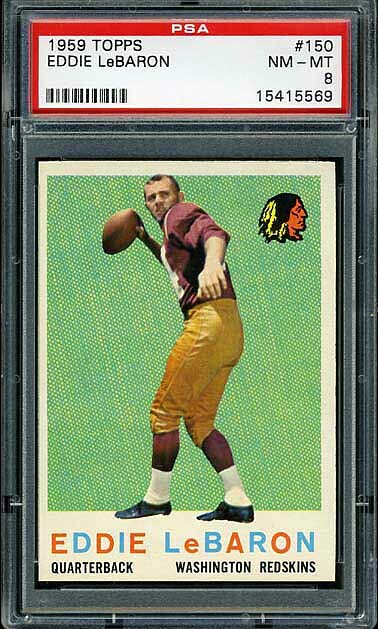 The complete 1959 Topps Redskins team set is shown below. The key card in this set is card #132 Don Bosseler. Not only is this his rookie card, it is the last card in the set. 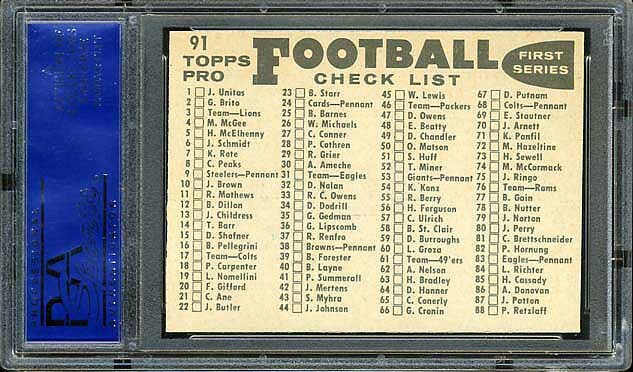 This set contains the rookie cards of Bobby Mitchell (Cleveland Browns) and Sam Huff (New York Giants).